On November 2nd, Concord Music will re-release Band on the Run, Paul McCartney & Wings’ multi-platinum album from 1973. The Grammy-winning record has been remastered at Abbey Road using the same team who recently remastered The Beatles reissues. Sir Paul himself has overseen every aspect of the album’s re-release. The release is the first in Concord’s recently announced campaign to reissue the entirety of McCartney’s post-Beatles records. The Band on the Run reissue will be available in four formats: standard, special, deluxe and vinyl. The standard edition will be simply the original album remastered. The special edition also includes a second CD of bonus tracks (mostly taken from the band’s 1974 “One Hand Clapping” television special) and a DVD with footage of the McCartneys in Lagos, original Band on the Run promotional videos, and the “One Hand Clapping” television special (highlighted by studio performances filmed at Abbey Road). 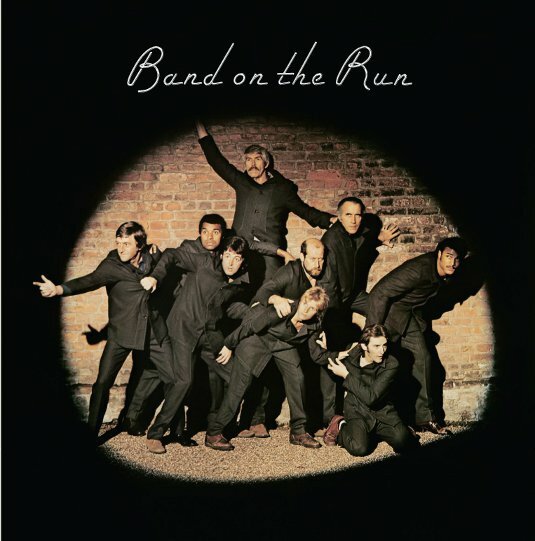 For the deluxe edition, a third CD of the audio documentary originally produced for the 25th anniversary edition of Band on the Run in 1999 and now remastered is included, as well as a 120-page hardcover book containing unseen and unpublished photos by Linda McCartney and Clive Arrowsmith, album and single artwork, a full history of the album with a new interview with Paul, and expanded track-by-track information for all four discs. 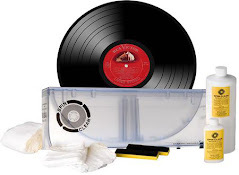 The vinyl edition contains the original album and bonus material on two 180-gram records and mp3 downloads for all the tracks. The standard and deluxe versions will also be available digitally. 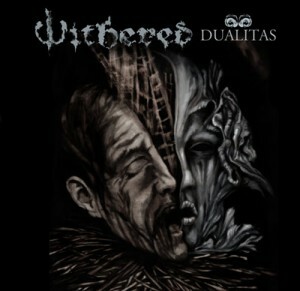 Blackened doom Georgians, WITHERED have unveiled the cover art and track listing for their upcoming album, “Dualitas,” due October 26th. The CD and vinyl versions of the record will have different covers, both of which were created by Paul Romano (Mastodon, Trivium, The Acacia Strain), who also did the cover for its critically acclaimed predecessor, “Folie Circulaire.” A brand new song will launch next week. “Dualitas,” is their third album, (second for Prosthetic Records) and was recorded by KYLESA‘s Phillip Cope at the Jam Room in Columbia, SC. 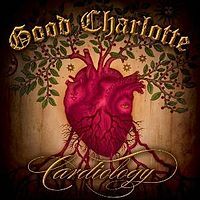 The first Good Charlotte single off of Cardiology, “Like It’s Her Birthday," is now available on iTunes. 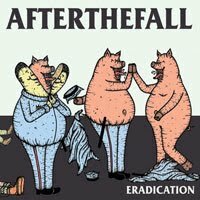 After The Fall Get Ready To Release "Eradication"
"Eradication," the latest full-length from Albany, NY punk trio After The Fall is now available for pre-order from Mightier Than Sword Records. 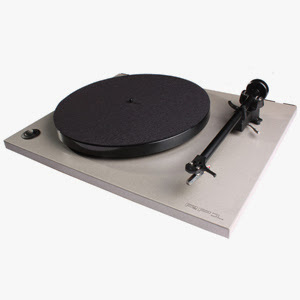 Slated for an official October 12th street date, the Brooklyn label will release the album on CD, digital and vinyl formats, with 500 of the latter being pressed on three limited edition colorways. Thanks to all (it was quite a response!) who emailed me, I have the five winners and you can expect to hear from me very soon! 21 year-old Ricardo Lopez was found dead in his Hollywood apartment in 1996 after committing suicide. Before his death Ricardo had mailed an acid bomb to Icelandic singer Bjork's London management. Sheb Wooley ("Purple People Eater") died of leukemia in 2003. Weather Girls singer Izora Armstead died in 2004 (age 62) of heart failure at a hospital in San Leandro, East San Francisco. In 2008, Norman Whitfield died in Los Angeles, California from diabetes and other illnesses. The Motown songwriter and producer collaborated with Barrett Strong on such hits as "I Heard It through the Grapevine," "Ain't Too Proud to Beg," "(I Know) I'm Losing You," "Cloud Nine," "War," "Papa Was a Rolling Stone" and "Car Wash."
Mary Travers of Peter, Paul and Mary died of leukemia in 2009. Enrico Caruso recorded his last work for Victor Records in 1920. Johnny Burnette recorded "You're Sixteen" in 1960. "She Loves You" by The Beatles was released by Swan Records in the US in 1963. Although the song was currently number one in the UK, "She Loves You" was ignored in the US until 1964 when it would reach the top of the US Pop chart. 'Shindig' premiered on ABC-TV in 1964 with Sam Cooke, the Everly Brothers, the Righteous Brothers and Bobby Sherman (it ran for two seaons). The Dean Martin Show made its debut in 1965 on NBC-TV (it lasted ten years). In 1965, the second season of "Shindig!" was opened with the Rolling Stones performing "Satisfaction." The Kinks, Byrds and Everly Brothers also appeared on the season opener. The Metropolitan Opera opened its new opera house at New York's Lincoln Center for the Performing Arts in 1966. Also in 1966, member of Parliament Tom Drilberg asked Britain's House of Commons to officially "deplore" the action of a magistrate who'd earlier called the Rolling Stones "complete morons...who wear filthy clothes." Working at Abbey Road studios in London in 1967, the Beatles recorded 11 takes of "Your Mother Should Know," giving the song a stronger beat, but this version of the song was discarded in favor of the original recording. The classic “Are You Experienced?” from the Jimi Hendrix Experience entered the LP charts in 1967. In 1970, Jimi Hendrix joined Eric Burdon on stage at Ronnie Scotts in London for what would become the guitarist's last ever public appearance. Three Dog Night scored their third US #1 single in 1972 with "Black and White." Peter Frampton (formerly of Humble Pie) made his solo debut in New York, opening for the J. Geils Band in 1972. Wishbone Ash, Family, Steppenwolf, John Kay Band, Slade, Uriah Heep, Roy Wood and Wizzard, Wild Angels, Glencoe and Sunshine, Cold Comfort Farm all appeared at this years Buxton Festival in Derbyshire, England. in 1972. Quite a bill indeed! KISS released the album 'Asylum in 1985. Gloria Estefan went to #1 on the US singles chart in 1989 with "Don't Wanna Lose You." In 1989, U2 jammed with B.B. King on a boat rented for the blues legends 64th birthday in Sydney Harbour, Sydney, Australia. In 1992 - Barbara Streisand made her first live appearance in six years at a fundraiser for the U.S. Democratic party. Grace Slick's home was destroyed by fire in 1993. In 1996, Pearl Jam played the first night on their ‘No Code’ tour at the Key Arena in Seattle, Washington. Because of the band's refusal to play in Ticketmaster's venue areas, they were forced to use alternate ticketing companies for the shows which fans complained were to be out-of-the-way and hard to get to. 1998, At a Sotheby's auction a notebook belonging to former Beatles roadie Mal Evans containing the lyrics to "Hey Jude" sold for just under $173,000, a two-tone denim jacket belonging to John Lennon went for a shade over $14,000 and the Union Jack dress worn by Spice Girl Ginger Spice sold for $64,000. The members of Mott The Hoople played together for the first time in 24 years at the Virgin Megastore on London's Oxford Street in 1998. Bob Dylan was at #1 on the US album chart in 2006 with ‘Modern Times.’ Entering the U.S. charts at #1, making it Dylan's first album to reach that position since 1976's 'Desire,' 30 years prior. At 65, Dylan became the oldest living musician to top the Billboard albums chart. 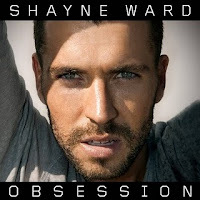 The record also reached number one in Australia, Canada, Denmark, Ireland, New Zealand, Norway and Switzerland. Not bad for an old timer! Bob Dylan headlines the third and final day of the Austin City Limits Music Festival in 2007. Fleetwood Mac singer-guitarist Lindsey Buckingham released his fifth solo album, "Gift Of Screws" in 2008 "As an artist I'm still, for better or worse, clinging to my idealism and to my sense that there is still much to be said," says Buckingham. "This album is a culmination of that." Fleetwood Mac drummer Mick Fleetwood and bassist John McVie contributed to several tracks. The Beatles remastered catalog is a hit in 2009. 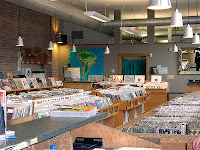 Nielsen SoundScan numbers show The Beatles sold a combined 626,000 units in the U.S. during the catalog’s first week out. "Abbey Road" is the biggest seller. That takes The Beatles to 1.2 million album sales for the year.